​Visceral osteopathy is the treatment of the abdominal and pelvic organs and related fascia (or connective tissue) with manual therapeutic techniques. This might be done for several reasons, for example to release post-surgical adhesions after a surgery. This is important because the organs, the stomach, the liver, the kidneys etc. are not frozen in place. There is movement inside the organ ('motility'), as when you push food through your gut, but they also move around against each other ('mobility'). The viscera are attached to each other, and to the bones and muscles that surround them. Restrictions in the viscera, or the related bones, joints and muscles, can impair the efficiency of the body. 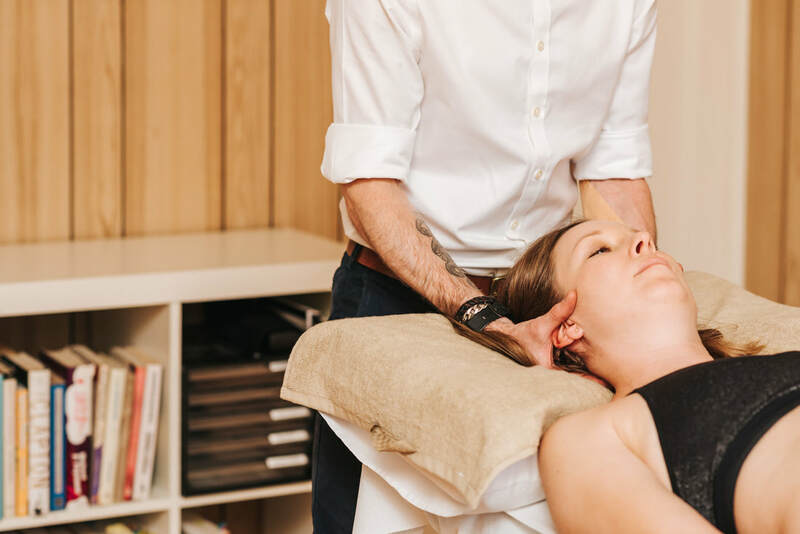 Cranial Osteopathy is a non-invasive, gentle form of treatment that involves engaging with the more subtle fluid dynamics of the patients body. Attention is paid to the tiny phsiological movements of the bones in the face and skull, and how alterations to these caused by trauma or injury, for example, can impact on our overall health and wellbeing.